Kato Paphos or lower Paphos is the most popular area in the Paphos district. Upper Paphos is known as Paleo Paphos or Old Paphos. Kato Paphos is home to popular hotels, bars, restaurants, cafes, beaches leading to the harbour with the Old Fort or Castle from the 13th century. A great tourist attraction with nice walking paths, the lighthouse, the House of Dionysis that houses the Paphos Mosaics and other archeological sites such as Saranta Colones and St. Paul's Pillar that make it a unique and interesting place to visit or live. "Price plus VAT - Commercial or residential use"
"Easy walk to the Sea"
"Easy walking distance the Harbour & Sea"
"Walking Distance to the Beach & Harbour"
"Prestigious Development Close to All Amenities"
"Walk to the Beach & Amenities"
"In Great Location Walking Distance to Many Amenities"
"Modern townhouse with Title Deeds"
"Fully Furnished & Title Deeds"
"Exclusive Development Walk to All Amenities "
"Walk to the Sea Front and All Amenities"
"Fully Furnished Apartment in Prime Location"
"Spacious Semi-Detached Apartment on Popular Complex"
"Fully Furnished & with Title Deeds"
"Ground floor apartment on Prestigious Holiday Resort"
"Fully Furnished w/ Complimentary AC & Wifi"
"Beautifully Presented on Small, Exclusive Complex"
Kato Paphos has many opportunities for investment properties, holiday homes and permanent residences. 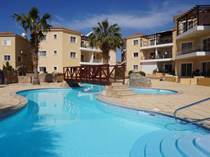 It is ideal for those wishing to be close to the beaches, the harbour, shopping and also Paphos town. 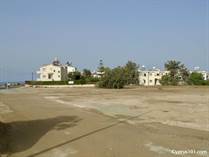 There is no need for a car when living in Kato Paphos as everything is close at hand. Whether you are planning to buy your first Kato Paphos property or sell your existing home, contact us today!